There are several options for transportation to and from the island of Rhodes. The airport of Rhodes, located 15 kilometers from Rhodes Town, accepts daily year-round flights from Athens as well as flights from Thessaloniki, Heraklion (Crete), and some European airports during the summer. The flight from Athens to Rhodes is a direct, one-hour trip. 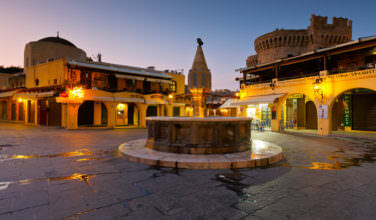 Affordable air companies that fly to the airport of Rhodes include Ryan Air and Easy Jet. Alternatively, you can get to Rhodes Island by ferry. 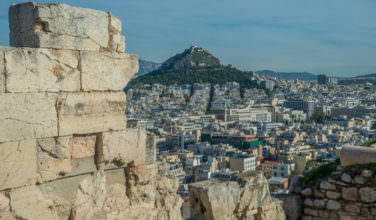 Because of its popularity as a tourist destination, various ferry rides to Rhodes are offered from other Aegean islands as well as Piraeus Port in Athens. 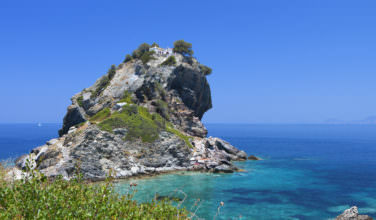 During the summer, you can catch a ferry to Rhodes from Santorini, Kos, Crete, and other surrounding islands. As for getting to Afandou Beach itself, you can take a small train from the main square in Afandou village, which runs for two kilometers and uses an overpass to cross the busy main road that separates the beach from the rest of the island. Afandou Beach, derived from the Greek word “afanto” (invisible), can be traced back to the original placement of the beach, which was deliberately situated in a way that made it invisible to the pirates at sea. Although it is less secret than it once was, this beach is still a great place for secluded relaxation due to the sheer enormity and stretch of its span, which measures four kilometers in length. Even during the summer months, Afandou Beach is remarkably quiet. However, it is not underdeveloped. 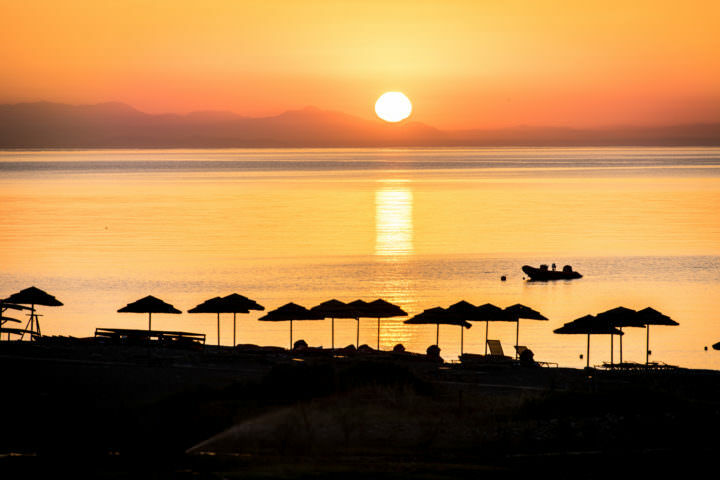 Afandou Beach is 19 kilometers from the town of Rhodes and offers local rental facilities, hotels, taverns, supermarkets, and restaurants. Afandou Beach, a unique little area nestled among olive and fruit groves, offers both tranquil seclusion and exhilarating excitement since it is just a hop-skip-and-a-train-ride away from the village of Afandou, Rhodes Town, and the town of Faliraki. This beach is a great place to soak up the sun, enjoy the beautiful Greek climate, go for a swim in the deep and crystal-clear water, browse nearby shops, dine in authentic and exquisite Greek restaurants, and even visit a spa. At one end of the beach, you will find mysterious caves and hidden coves. It is a great spot for anyone who wants to spend the day at the beach while on the island! If you’re looking for a great beach to soak up the sun at at, consider Afandou Beach. It’s a great destination for those who want to get an authentic and special taste of Greece and you absolutely must spend time here!